As I write this, the temperature outside is over 30ºC – but the humidity makes it feel like 40. The electrical grid in my neighbourhood is so loaded down that the normal line voltage of 118 to 123 is running around 107 to 109. My PS Audio AC Regenerator will hold the output at a steady 120 regardless of the input voltage. All the same, it just seems wrong to turn on a heat-belching tube amp with eight 6550’s in it. The perfect day to lay on the floor of my home entertainment room and evaluate earphones. I forget where I read about the inexpensive KZ IEM’s, but at the time I put their description into the search box on Amazon and up they popped. (link) At about $23 Canadian, I thought what the heck, it’s not a huge gamble and as my wife and I were about to depart on a vacation that involved air travel, we needed something fairly decent. The previous time we flew, the movie dialogue was unintelligible with what passes for the earpbuds the airlines try to flog. Often if they are running late they’ll give them out free to help lower the grumble factor. They probably pay about 50 cents per pair for them. In my estimation, the airline ‘buds and the ubiquitous white things that come as standard equipment with most portable devices and just perch in your outer ear are a crime against music. OK, but can you expect something decent for 23 bucks? The short answer is a qualified yes. Now, the IEM’s reviewed here, KZ’s least expensive model, won’t give the manufacturers of expensive IEM’s sleepless nights. But in some instances, these are better than expensive ‘phones. How so? Read on. But first, a word on quality: the two sets I bought for my wife and I worked without a hitch. In fact, they sounded so good I bought two more sets as gifts for the non-audiophile hosts awaiting us at our travel destination. The fifth set, used in the photographs accompanying this article, were problematic right from the start. While trying to remove them from the packaging, the rear half of the left side ‘phone came adrift from the rest of the earpiece. (See picture below.) Now, I’m no Bryan Baeumler or Mike Holmes, but I can manage carpentry and basic cabinet making. 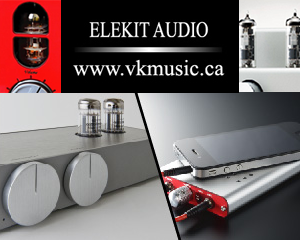 Diagnose and repair a recalcitrant tube amp? Been doing that since I was fifteen. Glue an earphone back together? No trouble at all. I suspect the two halves of the KZ’s are meant to just snap together, but a small drop of glue during the assembly process would be the belt and suspenders fix. The KZ’s come with three pairs of silicone tips, though I think the smallest would be the ones used for most ears. The cable is very “springy”, and not very controllable, but to me that’s better than the real thin stuff on the cheapos whose cords always seem acquire knots. The trick I’ve found to untangling the KZ leads is to grab the “Y” where the lead splits to each earpiece, and give it a shake. The cable will then relax and straighten out. If need be, just run a finger down from the “Y” to the earpieces to remove any residual tangle. The transducers have “L” and “R” marked on their respective housings, but they are difficult to see. 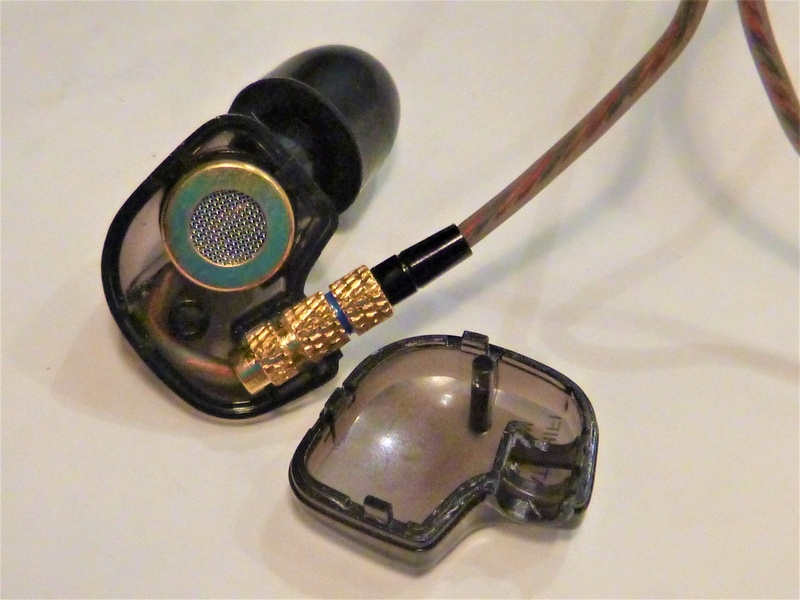 Look for the red ring on the brass feed-thru that is the interface between the earpiece and the cable. That’s the one for the right ear. The left earpiece has a blue ring. 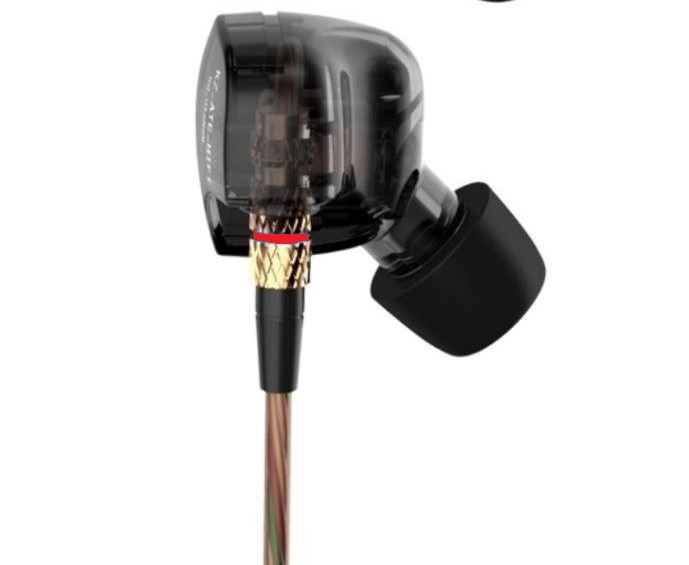 The earpiece is inserted into the ear with the cabling facing forward, then it’s looped over and behind the ear. See picture below. The brass-coloured sleeve helps weight the cable to hold it in place. Headphone/earphone comfort is very subjective. I’ve heard some full size planar magnetic ‘phones, and though the sound was mesmerising, their weight was too much for me to endure for any more than about fifteen minutes. My wife and I both found the KZ’s with the smallest tips comfortable enough that we could watch two movies on a five-hour flight. External sounds were not completely blocked, but sufficiently reduced in volume that the steady-state airliner background noise was well below the threshold of bothersome. Though the sensitivity of the KZ is quite high, their low 16-ohm impedance precludes the use of many all-tube headphone amps. I pressed my ancient, but still decent sounding, Headroom solid state amp and a tube input/solid state output HPA into service. I also fed the KZ’s directly from my tablet to get a handle on how they will sound to “normal” music lovers. From the PS Audio AC regenerator, my latest acquisition, a NAD 50.2 Digital Music Player, supported by the DAC section of my Cambridge CD player/DAC, fed the two HPA’s. As point a of reference, I gave a brief listen to the ghastly sounding airline ‘buds. These had a sound quality on par with two tin cans and a piece of string. Music was horrid and speech virtually unintelligible. At the other end of the spectrum my trusty Sennheiser HD600’s served as a high-end reference. Sure, they’re big, open back, conventional headphones but their clarity, overall musicality and comfort I find hard to beat. Let’s get this out of the way upfront. The KZ’s sound a little too bass rich. This isn’t altogether bad but is noticeable compared to my slightly bass-shy HD600’s. The KZ’s, driven by the solid-state HPA, sounded good, but the hybrid HPA was a more symbiotic coupling, especially after I installed an old smooth-plate Telefunken. The KZ’s bass wasn’t of the overly bloated sort with poor definition that makes male voices sound too chesty, but there was definitely a tilting up of the very low end. This gave bass guitar and acoustic bass great “purr” and drums a “whomp” factor that, if I’m being honest, is addictive, if not altogether accurate. Sure, it can be a bit much at times, but bass freaks will love it. The bass extension of the KZs was on the order of what I’ve heard from planar magnetics, but the KZ’s did not approach the more expensive ‘phones “hear into” clarity. But still, the KZ’s did very well in view of their price. The KZ’s bass lift is a bit less noticeable when driven directly by personal devices. The usual output coupling capacitors in mass market portables tends to limit their bass response. The KZ’s clarity, detail and resolution in the midrange and treble, though not as good as my HD600’s, is very good nonetheless and certainly far better than can be expected for 23 bucks. I’ve heard conventional closed-back ‘phones that offer a bit more treble extension than the KZ’s, but these were six to eight times pricier. The lower-than-ultimate resolution of the KZ’s is, in my view, a benefit with low-bitrate music files, as they won’t unduly highlight their sometimes irritating compression artifacts. Even CD-resolution files can grate on the ears, and the KZ’s didn’t unduly emphasise this. 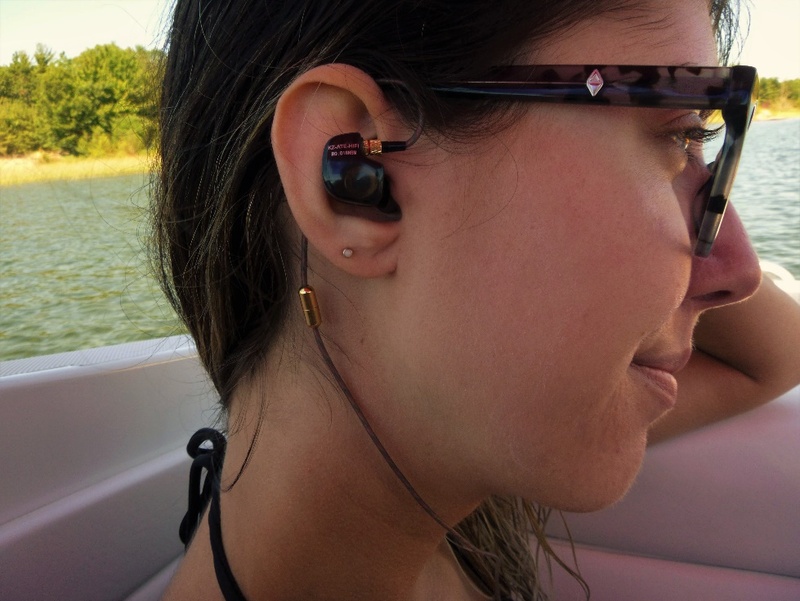 Uber-audiophiles with dedicated high-bitrate music players and pricey IEM’s won’t be blown away with KZ’s. But here’s the thing, there will be times when uberphiles won’t want to be flashing around their expensive gear. Situations where pricey gear might be damaged, lost or stolen are the perfect times for the KZ’s. But here’s a really great application for these dirt-cheap IEM’s that I’d suggest; buy a pair for yourself and at the same time buy at least one more pair, for a non-audiophile (N-A). Offer to trade them for their crap-o-‘phones with the option of trading back if the N-A doesn’t like the KZ’s. I’m not a betting man, but in this instance I’d bet 23 bucks that you won’t be getting the KZ’s back. You’ll be a hero and this might be the first step in the life of a future audiophile. Just keep a tube of glue handy until KZ improves their production process. Many thanks to my model, the lovely Miss K. No, I’m not exploiting some kid. She’s a naturally slender woman in her 20’s. And yes, she got to keep the KZ’s you see in pictures. 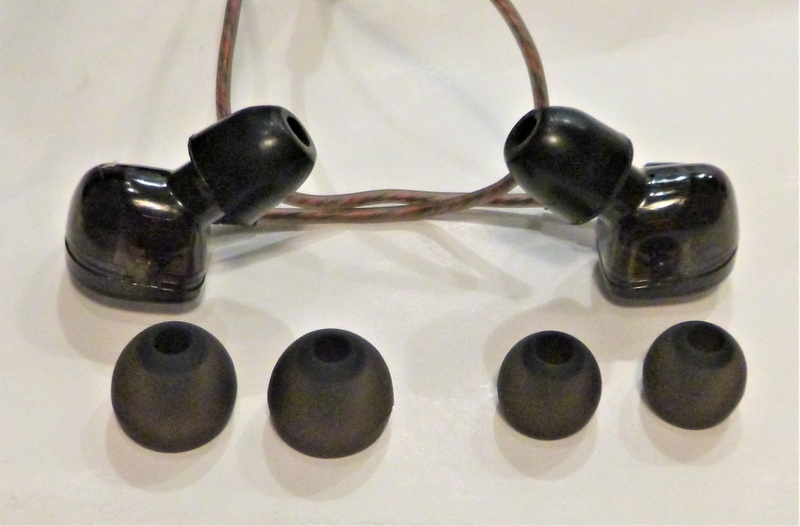 8 Comments on Review: Beteran KZ ATE Dynamic Balanced Armature IEM’s – Great Sound for $23 Cdn? Wow! Who would have thought one could write so much on such a small item! I can’t believe I sat down and read this from beginning to end! I wasn’t even looking to buy a set, but I certainly will now. You bet I will! Your guy (Steve), can not only write superbly, but can also gently persuade a purchase. Excellent no-nonsense review! Loved it! you can buy these on Gearbest for about 12 bucks Canadian. The KZ ZS10 is very much noticeably better, but it is bigger and about US $37. Thank you both for the kind words (Beverly) and the information (Gerrit). It appears GearBest ships from China. Nothing wrong with that. Of all the things I’ve ordered from China everything has been delivered, but it takes time. Maybe I’ll order 6 or 8 pairs KZ ATEs from BearBest and give them out as stocking stuffers at Xmas. But I’m still keeping a tube of glue handy. 🙂 A set of ZS10s for myself looks like a distinct possibility. Thanks for the tip! Just yesterday I was reading about a low powered (1-2 watts) tube amp on the diyAudio forum. The output tube is a push-pull 6SN7! There might even be PCBs available for the amp and powersupply. Hmmm. Might be the perfect thing for low impedance earphones. Why in the world do I need another set of iem’s? One click on Amazon, and here tomorrow! Thank you for your comment Mr. Rade. One click is seductive but if you are willing to try a little delayed gratification buying them from China and waiting a week or so will save some money. As to why you’d want another set of IEMs, to give away of course. I’ve given away five sets already and have another four sets in my “inventory”. It’s fun to turn people on to great sound. I’ve actually purchased a set KZ ZSAs (sound better than the ATEs but I don’t like the cabling and the ear tips aren’t as nice IMHO) and a set of KZ ZS10s. The ZS10s sound much better, after lots of break-in. Again, I don’t like the cabling as well as the cable on the ATEs and I don’t like the ear tips as well as the ATE tips either. I put the spare set of tips from my ATEs on the ZS10s. Would love to get this, but they are not sold in the US. I’m not sure how they are sold in each country. If you can’t find a way to order them let me know and I’ll order a pair and send them to you. I hope you and family are doing well. As I said above I tried a set of KZ ZSA, they sound a bit better than the ATE, but they don’t go in my ears deep enough to stay in and I like the cable on the ATE better. Same cable issue with the ZS10 but they sound much better than the ATE after lots of break in. All of them are, as the Brits say, “cheap as chips” so buy an upmarket set for yourself and a few ATEs to give away. You’ll be a HiFi hero, I guarantee it. One more thing, I didn’t like the ear tips on the other KZs as well as I like the ones on the ATEs. 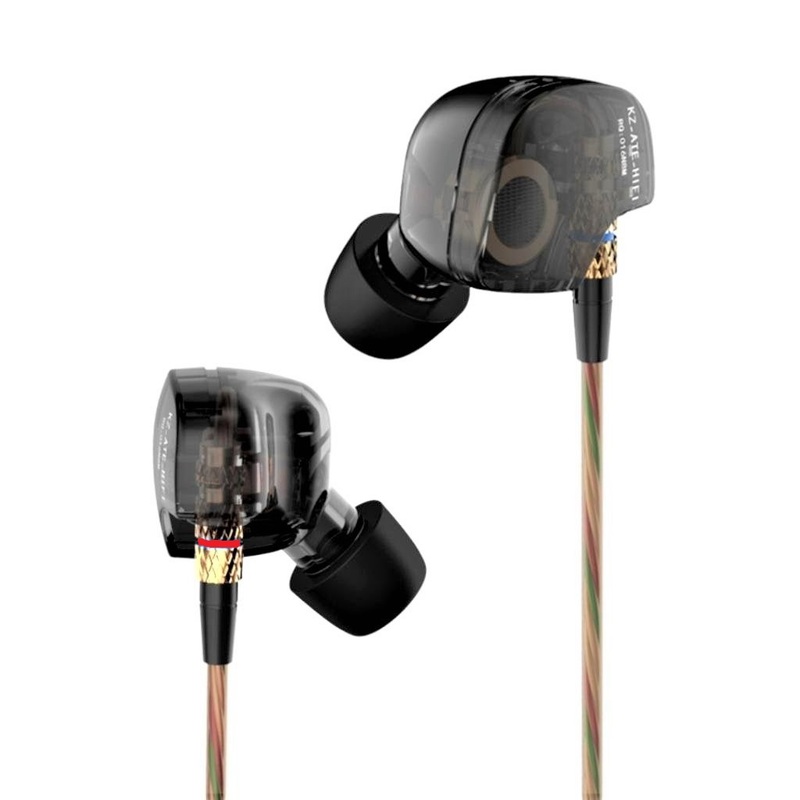 All KZs come with three sets of ear tips so you might be able to use your favourites from one model on to another. The link above might take you to the Canadian currency page but you can select another. I’ve ordered 3 or 4 times from GearBest and they seem very reliable.